The SEC also barred an accounting officer who cost his company hundreds of millions of dollars in unauthorized trading and loans. The eCareer stock sale targeted investors as old as 98, the SEC said. The Securities and Exchange Commission recently filed charges in a microcap scheme and barred an accounting officer who indulged in unauthorized trading, then tried to cover it up. In addition, FINRA censured and fined a firm for failures related to unsuitably concentrated Puerto Rico securities purchases. The SEC charged the operators of a South Florida-based microcap scheme with fraud and froze assets after it found that three boiler room brokers and their agents were selling unregistered stock. According to the agency, investors were defrauded via cold calls through a boiler room spearheaded by brokers Dean Esposito of Boca Raton, Florida; Joseph DeVito of Brooklyn, New York; and Frederick Birks of Orlando, Florida, who hid from investors that they had all been barred from the industry. The brokers and their sales agents were hired by Joseph Azzata of Boca Raton, CEO of eCareer Holdings Inc., to sell unregistered stock shares in the company. Investors were told their money would be used as working capital to develop eCareer’s online job staffing business. But about 30% of their money instead went into exorbitant fees for the brokers and sales agents. The payments were disguised in eCareer’s corporate filings as fees to third parties for consulting and advisory services. Company filings and offering materials also said the shares would be sold only to accredited investors, but the true targets were anyone who could pay — including some nonaccredited investors aged 85 to 98 years old. The SEC said that eCareer, Azzata, Esposito, DeVito and Birks raised more than $11 million in funds from more than 400 investors since August 2010. Not only did $3.5 million of that amount go to those “fees,” Azzata diverted another $650,000 to pay his motorsports hobby expenses and some of his family’s expenses, including his kids’ private school tuition and his wife’s shopping bills. Corporate filings characterized the spending as working capital. The SEC seeks disgorgement of ill-gotten gains, prejudgment interest and financial penalties, as well as other relief for investors. It obtained a temporary restraining order and temporary asset freeze, and Azzata is temporarily barred from serving as an officer or director of eCareer Holdings and voting the company’s shares. In addition, his wife is named as a relief defendant, to recover investor proceeds that were diverted to her personal accounts or expenditures, and trading in eCareer Holdings shares has been suspended. The former controller of Molex Japan Co. Ltd., the Japanese subsidiary of a Chicago-area company, has been charged with fraud by the SEC after he cost his company hundreds of millions of dollars and then manipulated accounting records to avoid detection. The risky trading began more than two decades ago. According to the agency, Katsuichi Fusamae engaged in unauthorized trading in the company’s brokerage accounts and lost more than $110 million. He then tried to hide his massive losses by taking out unauthorized and undisclosed company loans with Japanese banks and brokerage firms, and he used loan proceeds to replenish account balances and engage in additional trading. In the late 1980s, Fusamae began investing Molex Japan’s excess cash in riskier securities, including substantial trading of equities on margin. No one at Molex or Molex Japan authorized him to do so, nor were they aware of what he was doing. Shortly after he started, his investments went down and Molex Japan began suffering substantial losses. Fusamae falsified Molex accounting records and general ledger entries and intentionally used dormant general ledger accounts to hide both the trading and his borrowing. At the peak of his scheme, his activities caused Molex Japan to have approximately $222 million in unauthorized loan obligations. Molex consequently filed financial statements that failed to account for the trading losses and unauthorized loans. When Molex Inc., the parent company, finally uncovered Fusamae’s scheme and restated its financial statements in 2010, it recognized $201.9 million in cumulative net losses, which included both trading losses and borrowing costs from the unauthorized loans. 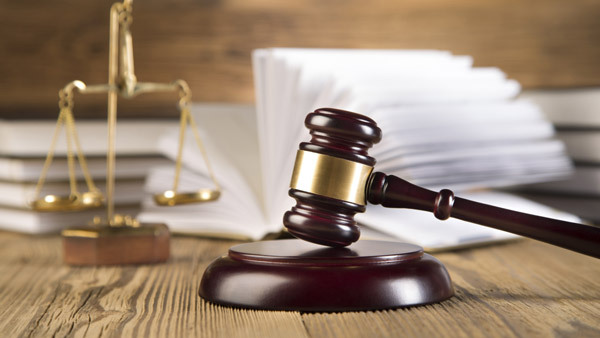 Molex was charged with numerous violations for its inaccurate financial statements resulting from Fusamae’s actions, and for failing to maintain accurate books and records and sufficient internal accounting controls. It neither admitted nor denied the charges, but agreed to a cease-and-desist order. FINRA censured San Juan, Puerto Rico-based Oriental Financial Services Corp. and fined the firm $245,000 after it found that, between 2000 and Aug. 5, 2013, Oriental had effected approximately 2,800 riskless principal transactions involving Puerto Rico closed-end funds (CEFs) in approximately 1,000 accounts and failed to disclose approximately $2.9 million in markups and markdowns on customer trade confirmations. In addition, the firm’s supervisory system failed to achieve compliance. The firm’s staff did not appropriately classify PR CEFs as equity securities, and its supervisory staff were therefore unaware that the disclosure requirement for riskless principal transactions in equity securities applied to PR CEFs throughout the 13-year time period. The firm’s registered representatives continued soliciting concentrated purchases of PR securities even after a downgrade of the general obligation rating of the Commonwealth of Puerto Rico. While WSPs required that the representatives believe purchase and sale recommendations were suitable for particular customers, they did not lay out a procedure for supervisors to review transactions for concentration or require that supervisors review for concentrated purchases (i.e., concentration in a single security, substantially similar securities, or securities of a single geographic region), including PR securities, or document their reviews. In addition to the fine, the firm must also provide FINRA with a proposed method to identify, review and remediate unsuitably concentrated PR securities purchases. The methodology must include the firm’s review of customers’ concentrated PR securities purchases made between Dec. 14, 2012, and June 30, 2013, and explain how restitution, if any, will be calculated. The firm neither admitted nor denied the findings but consented to the sanctions. — Check out Army Vet Posed as Broker to Bilk Soldiers, SEC Says on ThinkAdvisor. FINRA's Cook said that innovation continues to pose new challenges for their members, and "it is essential that we as regulators keep pace." With recent PE deals being struck at high prices, one industry watcher says, there could be some storm clouds ahead.